One of the hardest parts about being pregnant is outgrowing all of your clothes. I basically went and revamped my whole wardrobe after dropping 50 pounds with Bubba and totally loved my new closet. However, I know that this weight will fall off post-baby too and until then, the best way to let my style shine through is to accessorize! 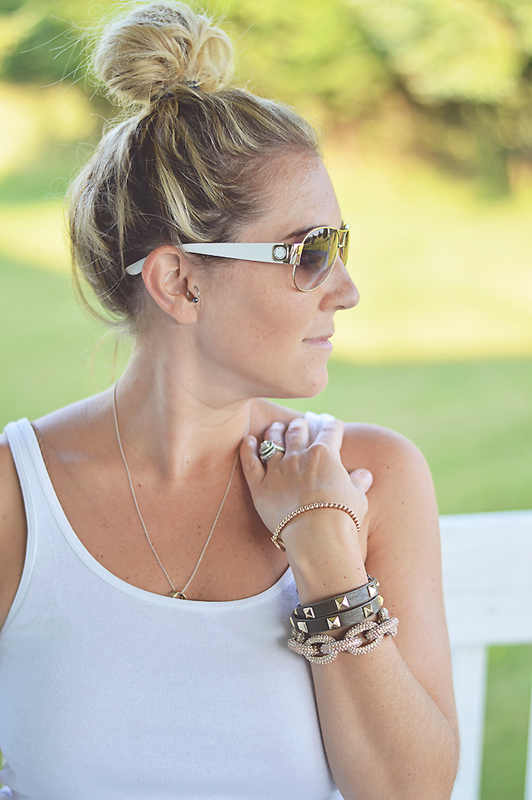 Have you heard of Stella & Dot? They offer totally trendy jewelry and accessories in a price range everyone can afford. 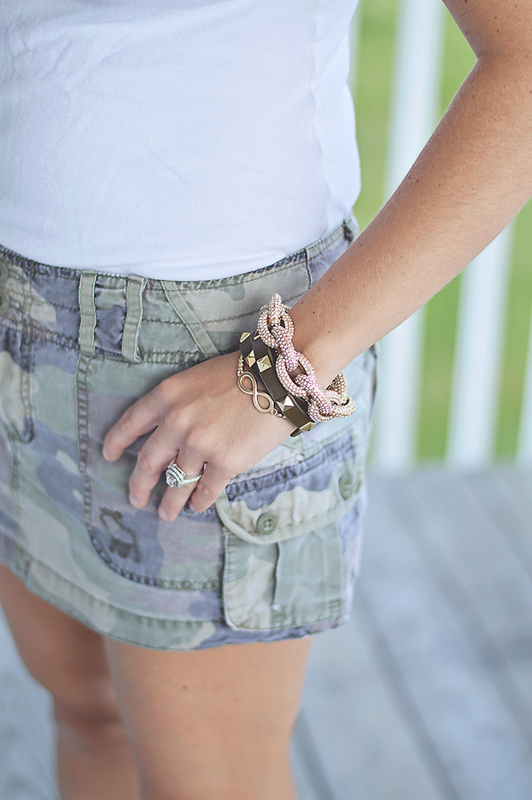 I’m totally feeling the camo and military look right now and when I saw this bracelet, I knew exactly how I wanted to style it! How cute is this double wrap bracelet?! I love me some good arm candy and I couldn’t wait to get this baby on! I’ve worn it so many times already; sometimes by itself and sometimes as a guest at an arm party. I love that it can be super casual with shorts and a t-shirt or a little more dressy with a sundress and wedges. Now comes the best part; Lauren is offering all of you a chance to win $50 to Stella & Dot to spend on whatever your little heart desires! Just enter the Rafflecopter giveaway below and cross your fingers…good luck dolls!